The San Bernardino Police Officers Association’s origins are traced to 1953, according to California Secretary of State historical records. First incorporated as the “San Bernardino Police Officers Benefit Association,” the organization was more social and benevolent in nature. As it evolved, the need to focus more on matters pertaining to the department, its structure and working conditions became apparent. Our parent organization, Peace Officers Research Association of California (PORAC), was also formed in 1953, and an interesting bit of trivia is that San Bernardino Police Officer Bob Van Der Linda served as the president of PORAC from 1962 to 1963. This evolution also corresponded with the police labor movement in the state of California beginning to swell. With the growing necessity for more protections to be afforded to the public safety officer, the passage of AB 301, more commonly known as the “Peace Officers Procedural Bill of Rights,” occurred. This officers’-rights concept originated around 1974, with, surprisingly, its largest supporter being the ACLU. The bill was signed into law by Governor Jerry Brown, and became effective on January 1, 1977. Throughout the 1970s, the association continued its evolution, after finding itself in the position of defending the City Charter, Section 186. The section was amended from its original format of five cities to its current language providing for an averaging of salary figures among communities having a population between 100,000 and 250,000. This modification to the charter remains to this day and is central to the maintenance of the manner in which our salary is determined. The charter section makes our salaries average among comparable cities. 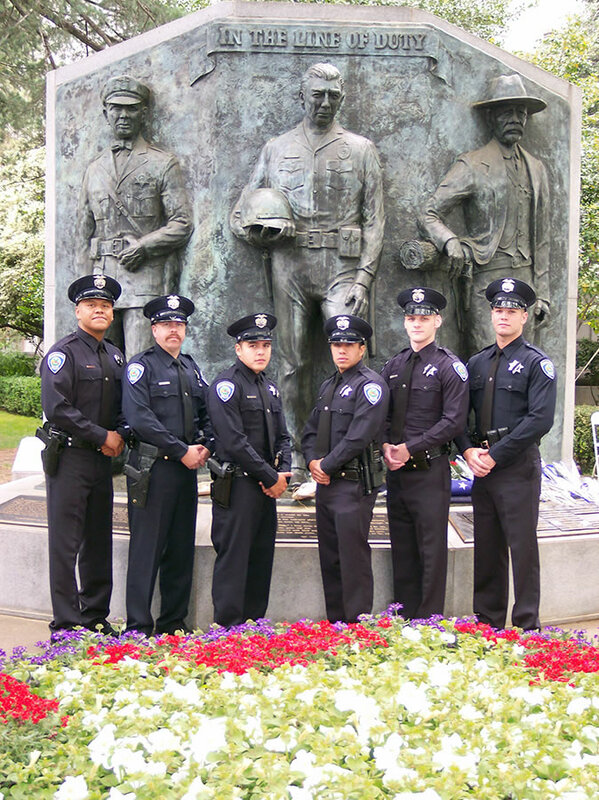 Modern association history can be traced to 1980, with the changing of our name to the “San Bernardino Police Officers Association.” This also resulted in a refocusing of the organization from one of benevolence to one of labor, concentrating primarily on the enhancement of the benefits and working conditions for our city’s police officers. In doing so, the association increased its involvement in PORAC, particularly at the chapter level. These changes occurred under the leadership of President Mike Lewis. He remained president through 1986 and was an integral part of the modernization of the association’s labor efforts and necessary workplace improvements, setting the tone for the organization’s future leadership. Terry Wood and Frank Alvarez then served single two-year terms as president until 1990, when the association’s vice president, Steve Filson, began what would be a total of 12 years as president. Subsequent to this was the term of Jeff Breiten. In 2002 Rich Lawhead began his nine year term as president, and since 2011 that of our current president, Steve Turner. The association has experienced its share of ups and downs, but has always held steadfast to the necessity of involving itself actively in the community. This can be witnessed through the 1990s-era Cops for Kids at Christmas venture, where over 500 foster children were treated annually to an unforgettable holiday celebration, and through the current partnership that utilizes athletics and mentoring by officers of at-risk, inner-city youth through the Young Visionaries program. The association’s formula for success has been and will always be the involvement of its membership. Add to that the level of dedication achieved and maintained by its elected board members and the results are profound. Simply, the association’s future is you! Get involved; be a part of history! It’s something to be proud of.